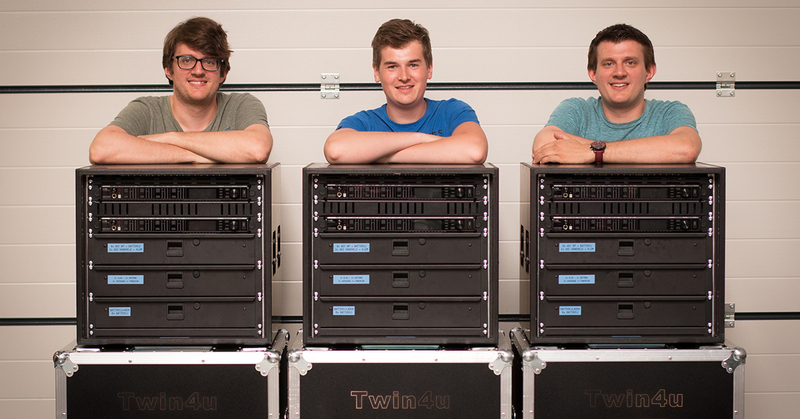 For the production ‘Zoo of Life’ Twin4U made an investment in Shure Axient Digital wireless microphones. During this production they were running 36 channels in conjunction with 16 in-ears in the Queen Elisabeth venue in Antwerp. Choosing Shure Axient Digital over other options came after a challenging series of tests. Both in low-latency and battery life Shure took the lead. 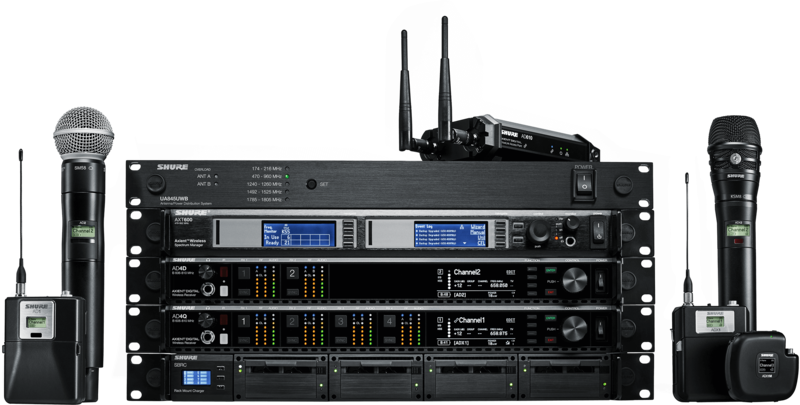 With 10+ hours of battery autonomy the days of worrying whether a belt-pack transmitter would survive the long hours between miking up an artist and the end of show in a typical musical staging setup are definitely a thing of the past! Twin4U pointed out that Shure’s stability is noticeable by the lack of drops in RF and crystal-clear audio, even in cases of extremely weak RF signal strength. Next to that they were pleasantly surprised by having both the 500 and 600 MHz frequencies available in one single device. Shure Axient Digital includes analogue Dante and AES all in one device. No more being limited to only one option when making your purchase. They were happy to include Eric Loots for the system design of this project. Pieter “Pita” Tanghe oversaw the smooth running of the RF-side of the production. The sound design was made in-house by Philippe Peirsman and Gregory De Groep. Wisycom “sharkfin” antennas were a vital link in the RF-chain, resulting in a glitch-less running of the shows. 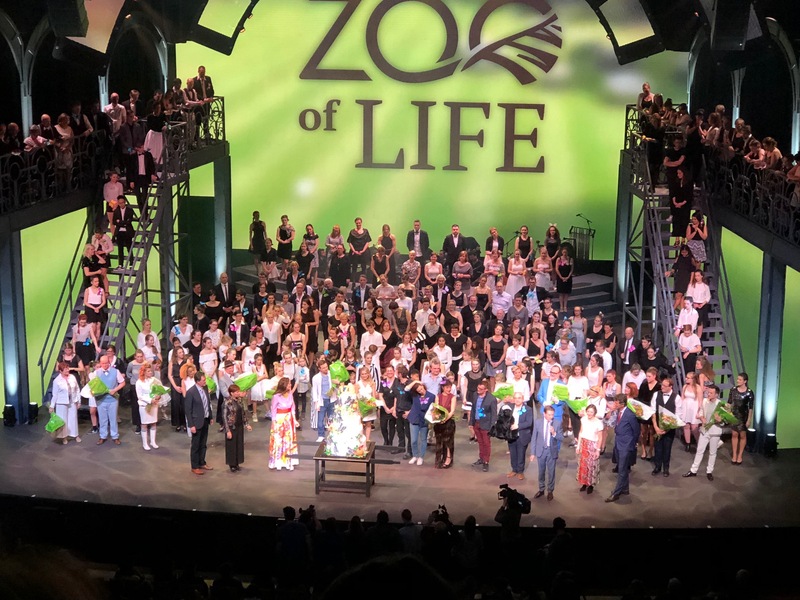 The show ‘Zoo of Life’ was on stage from the 2nd until the 15th of April, twice a day! The rehearsals took place from 16th till 30th of March, which made it very challenging to set up in 1 day. ‍Both AD series and ADX series transmitters are compatible with a shared Axient Digital receiver platform.